Fancy doing something a bit different on a Saturday morning? Come and have a dabble with clay at our family friendly drop-in sessions. Come on your own or bring the kids and expect a lively creative atmosphere. 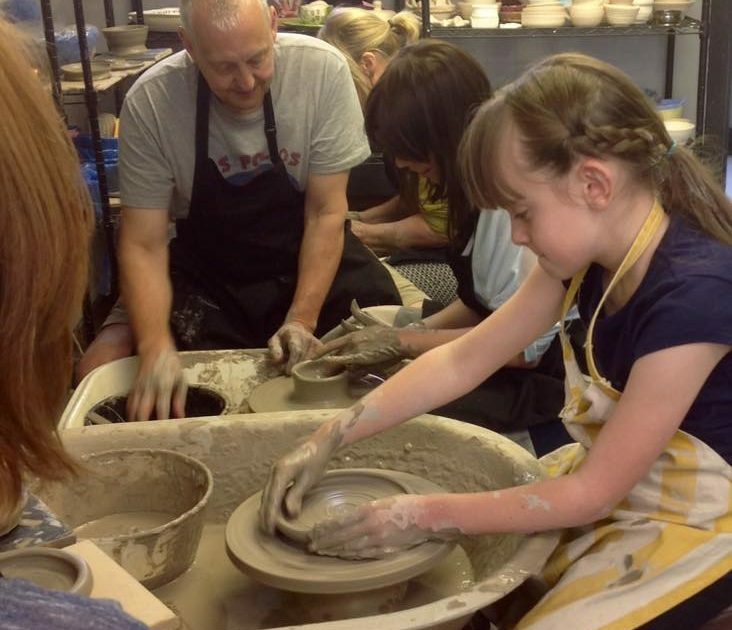 These sessions are suitable for budding potters of all ages and abilities. No booking is required for these sessions – just turn up and get making. We will give you everything you need to get you started. The sessions work on a first come first served basis and studio table space is limited to about 15 or so people so that even when the sessions are quite busy everyone can still get a bit of one-to-one tuition and support. These are family sessions and children need to be accompanied and supervised by an appropriate adult (parent, guardian etc). There is a small charge for all work you wish to be fired which is calculated by weight or volume to cover the cost of clay, glazes and firing.